Located in Bonneville County in the eastern side of Idaho, Idaho Falls is one of the state's biggest cities. It's actually the largest city in Idaho to be situated outside of the Boise metropolitan area and is home to around 60,000 people, with over 133,000 in the full metro area of Idaho Falls. This city is the main cultural and commercial center for the eastern part of Idaho and even acts as a key commercial hub for people in the neighboring states of Montana and Wyoming too. Idaho Falls is home to many unique attractions like the Idaho Falls Zoo, the Idaho Falls River Walk, and the Museum of Idaho, but is perhaps best known and most loved for its astounding surrounding scenery. Set in one of the prettiest parts of the state of Idaho, right on the banks of the Snake River, Idaho Falls lets visitors enjoy the 'Greenbelt', a huge system of parks and trails, with the titular Idaho Falls waterfalls also featured in this area. There are some beautiful views to be admired and lots of wildlife to spot all around Idaho Falls, making it a great city for outdoor enthusiasts, nature lovers, budding photographers, families, and more. It's no wonder, then, that Idaho Falls has proven to be one of Idaho's top RV cities, with lots of great RV parks and campgrounds in the local area. If you're planning an RV trip to Idaho Falls, see below for important info and details about all of the best RV parks the city has to offer. If you're heading down to Idaho Falls to soak up some of the local culture and enjoy the beautiful natural surroundings and scenery this city has to offer, the Snake River RV Park is a super place to base yourself. As the name implies, this RV park is located right beside the famous river itself, situated in the north of the city with easy access to some of the top stores, restaurants, bars, museums, and more in the area. It also happens to be one of the best rated RV parks in all of Idaho Falls, so you're guaranteed a great time. Snake River RV Park is a family friendly location and is highly affordable too, with nightly stays available from $37 for a back-in space with water and electric or $46 for a full hook-up, pull-thru space. The RV sites feature 30/50 amp electric and some of the sites measure up at 85 feet in length, so can accommodate big rigs and extra large RVs. On-site amenities at this Idaho Falls RV park include a swimming pool, a hot tub to help you relax, a play area for children, an all-you-can-eat breakfast offering in the mornings, a grocery store, a gift shop, laundry machines, reliable wireless internet, showers, and more. If you're looking for a small and simple RV park in Idaho Falls, the South Tourist Park could be just what you need. This is actually a full, regular park, rather than just an RV park, but it does feature RV spaces and camp sites for public use. It's also located right beside the Snake River, so it's a great space for people wishing to explore the famous Greenbelt parks and trails of Idaho Falls and enjoy the wonderful views of the Snake River. South Tourist Park has one major advantage that really elevates it above the other RV parks in the Idaho Falls area: its prices. This is the most affordable RV park in the city by far. It only costs $15 to stay here, with the park opening up for RVs from May through to October of each year. 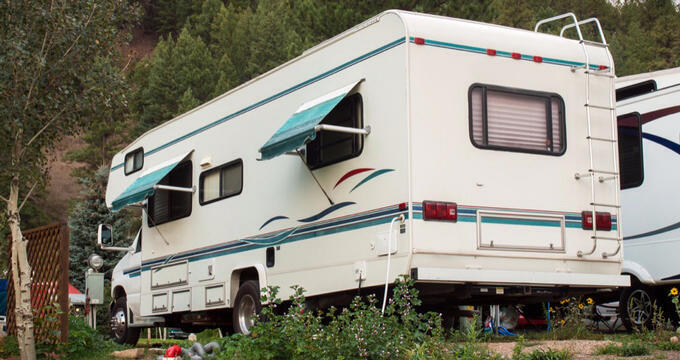 Many of the RV sites here even offer views of the Snake River, and there are some basic facilities like water access, a dump station, an on-site member of staff to help out with any problems you may encounter, and clean restrooms too. Nicely located on Yellowstone Highway, offering easy access in and out of Idaho Falls, Shady Rest Campground is another good option you might like to consider for your next RV trip to this Idaho city. It's located in the northeastern part of the city, a short drive away from the main shopping areas, restaurants, parks, and attractions, but offers a very peaceful, clean, and safe location that guests of all ages can appreciate. You'll really feel like you've arrived at a true 'home away from home' when you choose to stay at Shady Rest Campground, and the prices here are great too. The gravel roads let you get around with ease and the RV sites are spacious enough to handle moderately large RVs and additional vehicles. The whole park is fenced off for security and each RV space features a small lawn area which can be used for picnics or more.